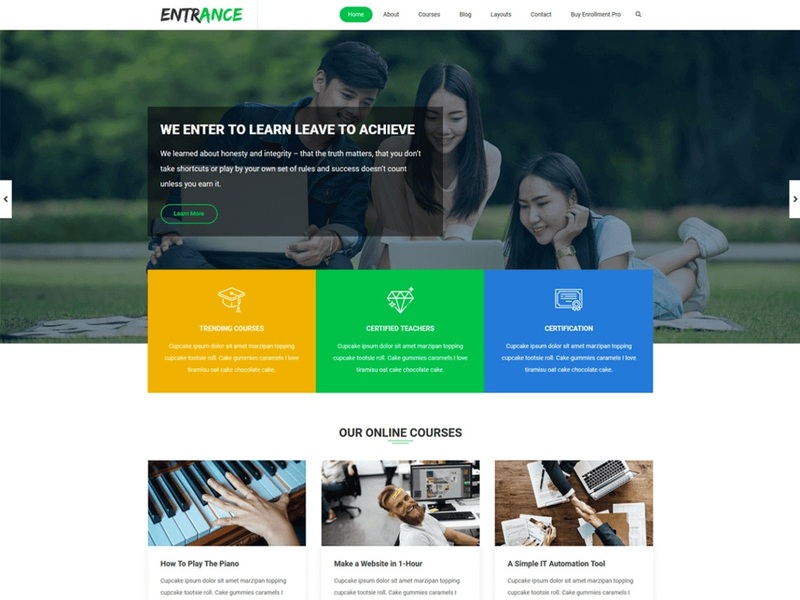 Entrance is the child theme of Enrollment which is a clean and modern WordPress Theme for all kinds of Educational center like School, College, University and Training center. It is perfect for any kind of Educational website. It is easy to use and has powerful features. Launch your institutional site with the Enrollment education WordPress theme! We have great customer support via email, support forum.